Does anyone know the model names of the Bianchi Mt. Bikes from the 1980's/very early 1990's? Just curious because I never see anything listed for early Bianchi Mt. Bikes, except for the Grizzley! This website has comprehensive data for bicycles manufactured from 1993 on. You'd have to start clicking on the links of models to figure out which are mountain bikes. I have a Bianchi Forte MTB that isn't listed in the above airfreetires site, so likely before 1993. No suspension. It is black with their green color on the decals. "For the last few years, we at Bianchi, have named our mountain bikes after rare and endangered animals to remind everyone that care should be taken when riding through sensitive habitats and to promote minimum impact cycling." Super Grizzly, Grizzly, Peregrine, Osprey, Ibex, Nyala, and Ocelot. Can you tell me if any of those Bianchis have lugged frames. I'm on the lookout for a lugged steel mtb. I seem to remember Bianchi was making them farther into the nineties than most manufacturers. Bikes: I used to have many. And I Will again. I have a Nyala which is a lugged frame. 1" rigid fork, mid range Suntour XCM components. Early 90s era. 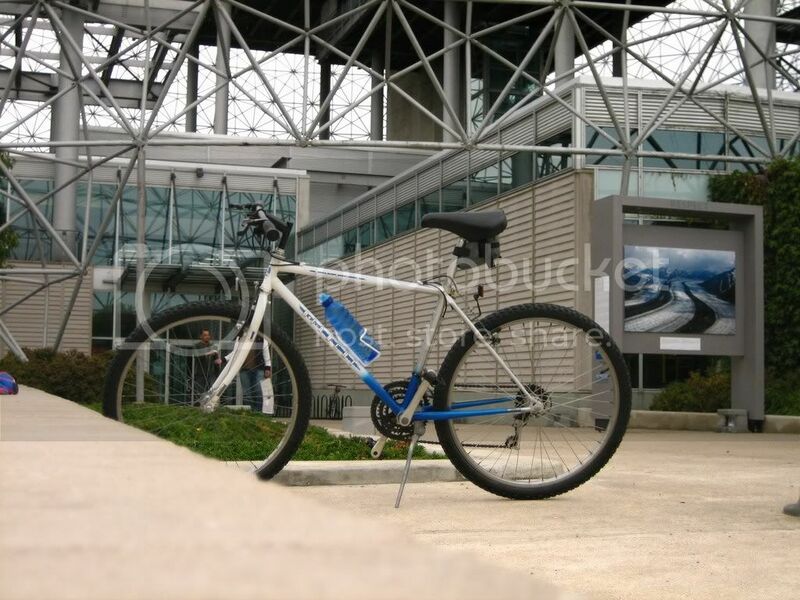 Rides quite well, and is used mainly for city streets and restricted paths. Last edited by WNG; 01-12-08 at 01:18 PM. I picked up this 1991 Bianchi IBEX MTB over a year ago. It's still in the basement, waiting it's turn on the project list. You're correct, it's a fully lugged frame. I'm not sure where the IBEX was in the Bianchi line up, but I'd bet its a lower end model. EDIT: Thanks Blue Order, now we know the IBEX was third from the bottom. Bikes: The keepers: 1958 Raleigh Lenton Grand Prix, 1968 Ranger, 1969 Magneet Sprint, 1971 Gitane Tour de France, 1973 Raleigh Tourist, 1973 Lambert, 1973 Schwinn Super Sport, 2 - 1986 Rossins, a third Rossin frame and a '77 PX-10 frame to be built. I've got a '93 Bianchi Nyala, which I've converted over to my daily runner/everything bike/long-haul tourer. I guess I like it, seeing that it put down between three and six times the mileage of anything else on the rack last year. It's a lugged frame, all Shimano Exage, and one heck of a nice ride. If you have a chance to pick up one of these models, jump on it - I've messed with a few Japanese-made Bianchi's in the past and have yet to find anything negative about any of them. wow...memories..I bought one of the Bianchi MTB's in the 80's. Steel, lugged, yellow of all colours, for the life of me I can't remember the name. I loved it. I've got a '93 Bianchi Nyala, which I've converted over to my daily runner/everything bike/long-haul tourer. I guess I like it, seeing that it put down between three and six times the mileage of anything else on the rack last year. It's a lugged frame, all Shimano Exage, and one heck of a nice ride.. I like those fenders a lot! Where did you get those? One of the two LBS that I normally haunt - I'll drop by Monday and come up with the manufacturer. Not expensive, I seem to remember $20.00 for the pair, all hardware included, and much easier to install than ones I've been used to in the past. I've use them on a couple of other bikes, including that Raleigh Seneca the preceded the Bianchi. Anyone know anything about a Bianchi Sika? All times are GMT -6. The time now is 04:48 AM.